We have a product website with tie ups all over the country. Our product web page has products basic information, reviews, price and offers. Most of our traffic comes like: 1. User type [Product-Name] on google, if they see our websites product page, they click on that link. 2. Once they land to our product page, we show user price, offer from most popular city of our country. 3. If user wants to see price, offers of their location, they have to select their location on our product page. The price and offer varies based on our tie up with the local retailers. I was reading google localization and trying to show offer, price on the seo link based on users location. One option is to have multiple pages like [price-in-location]. This will create different pages for multiple location where we have tie ups. The problem is that these links only show up if user types I.e. apple laptop price. But most of our searches are just I.e apple laptop. This only ranks our general apple product page where user has to fill his location information to get price,offer details. How can I make my product page rank based on user location and show users relevant information directly. Once they land to our product page, we show user price, offer from most popular city of our country. If user wants to see price, offers of their location, they have to select it on product page. The price and offer varies based on our tie up with the local retailers. This structure of your web pages may not be useful for user experience. 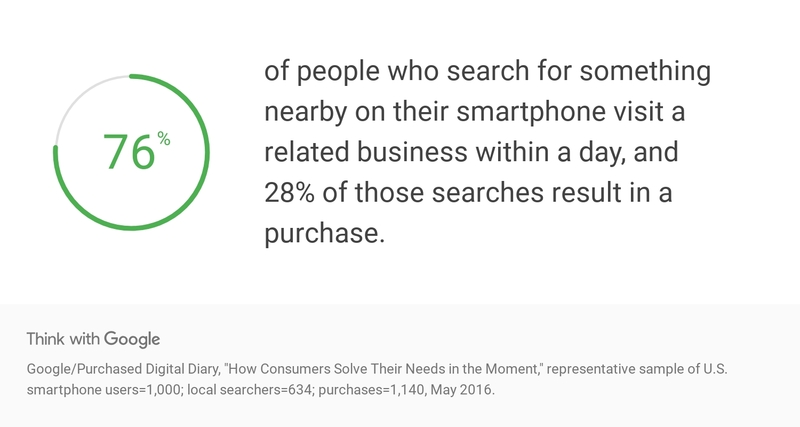 76% of people who search for something nearby on their smartphone visit a related business within a day, and 28% of those searches result in a purchase. Therefore, offering users yourself to choose the location convenient for them, you lose traffic from the query "near me". In addition, you increase the number of clicks that a user must make to receive an answer to his request / purpose of the request. You increase the path to the final result of the search. However, here we must take into account the fact that Google considers such remote web pages less important than a closer web pages. Create separate web pages for each of your store / retailers using the above structured data for localization. This will help you set separate prices for separate places. Also, it can help localize your products and drive traffic from searching "near me". Read more the guide of Google to the type Local Business. Google ranks pages on a country level only. You can have different prices for different countries that rank appropriately within each country, but you can't have different pages for different states or cities that rank differently in different locations within a country. Your solution of different pages for different cities is only going to work if people type in the name of the city. In the case when people search for "dallas product" rather than just "product". However, it sounds like you need a solution for when people search for just the product name. Use a geo-ip database. The nice thing about them is that they can usually get your user in the right state, often within a couple hundred miles of their actual location. The user doesn't need to give you any special permissions. They are however often inaccurate. Plus they are easily thrown off by proxies and VPNs. If you use this solution you need to have a way for users to change their auto-detected location. Ask the user to allow their browser to share their location with you. The downside is that it looks really intrusive with a popup. That is especially true if you ask when the page loads. I like the sites that ask me to share my location when I click on the "change" button to change my location. Not the answer you're looking for? Browse other questions tagged seo local-seo localization or ask your own question. Multiple index pages on website for multiple locations, SEO no-no?